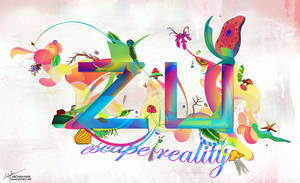 Artwork created for Zu Shoes Spring Campaign, Australia. You will be able to see them n billboards, print ads, stores, etc. 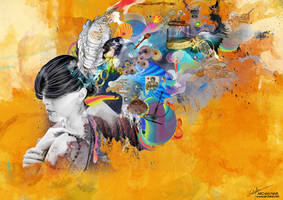 Photography of the model by agency, and other imagery is mixed media, own resources and istock. Thanks for your response. I still feel there are few elements that you probably did in Illustrator, like the Blue ribbon sort of thing that is extending downwards from the heel of the sleeper. Am I right? Can anyone tell me if it is Photoshop or Illustrator? great work anyways. I have been gazing on this artwork for more than 10 mins and really like the details like cactus, wood, most importantly water, i would say that these elements are truly vital part of this artwork (: ... Faboulous artwork Archan. 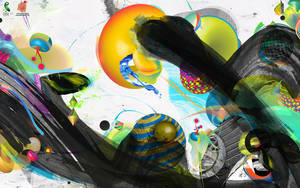 funky-psychedelic, loving the crazy range of color and the texturing, great job! Good work - your mixed media pieces are my favorite. I really love what you did with the top left of it bottom of the shoe coulda had more going on. overall really nice.